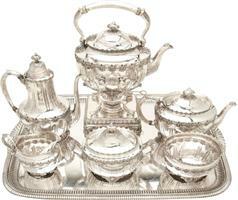 Sell Gorham sterling silver flatware and hollowware to The Silver Queen Inc. Strong Buyers of silverware since 1972. 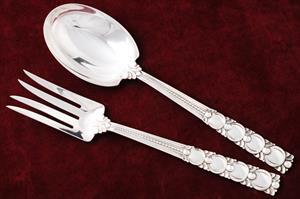 Sell Gorham sterling silver flatware and hollowware to The Silver Queen Inc! 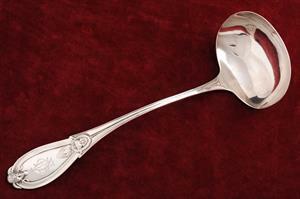 We pay strong prices for Gorham silverware items that we need, since we have over 400,000 customers registered in our national database that are looking for specific patterns and pieces. 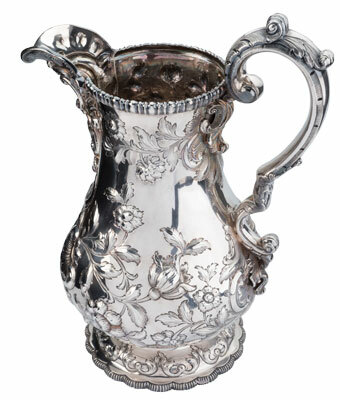 We also cater to high end collectors from Europe and nationwide who seek us out when they are looking to add very special and rare pieces of Tiffany to their collections. 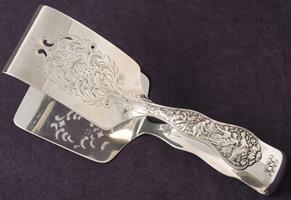 If you have something that is considered to be very rare and extraordinary then please email Greg the owner and head buyer directly at Greg@SilverQueen.com include photos if possible. 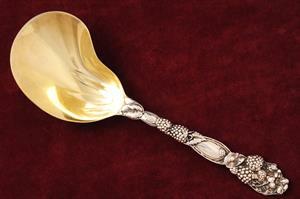 Do some research first before selling. 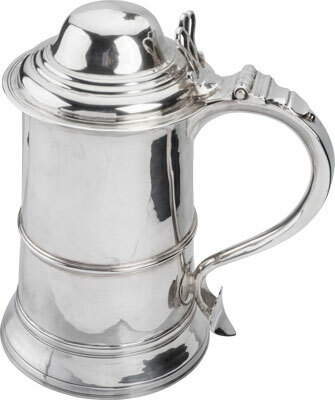 Do you own valuable silver? Or, are your items worthless? Click on the links below to educate yourself. 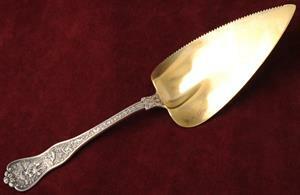 Click on the about us to find out more about our company and our reputation. 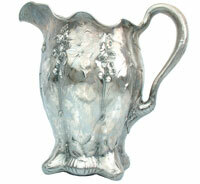 Sell your sterling silverware to us: Alvin, Buccellati, Gorham, Kirk, Stieff, International, Reed and Barton, Lunt, Wallace, Towle, Vera Wang, Gorham Martele, Tiffany, Georg Jensen, Alan Adler, Cartier, Old Georgian Silver, Paul Storr, Hester Bateman, Anne Bateman, Repousse Castles, Art Nouveau Silver, Tiffany Japanese, Tiffany Tea Sets, Grande Baroque, Francis 1, Chantilly, Strasbourg, Old Master, Buttercup, Old Maryland Engraved, Queen Elizabeth, Eloquence, Repousse, English King, Audubon, Shell and Thread, Bel Chateau, King Richard, Sterling Goblets, Sterling Julep Cups, Sterling Tea Sets, Sterling Trays and Platters, Fairfax, Lily, Old Orange Blossom, Newport Scroll, Narragansett, Empire, Torchon, Versailles, Stieff Rose, 1810, Joan of Arc, 18th Century Silver, Francis 1, Florentine Lace, Tara, Woodwind, Carrs of Sheffield, Old Colonial, Lion, Sir Christopher, sterling and mixed metals, candlesticks, Unger Brothers, Schofield, Shiebler, Shreve Crump and Lowe, candelabras, sterling flatware, silver mint julep cups, and silver museum presentation pieces. 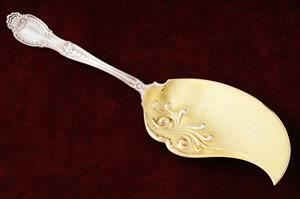 We are a leading national buyer for sterling silverware, flatware and holloware. 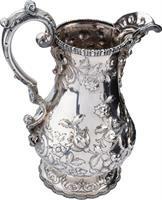 If you are located in The Tampa Bay Area in Florida, please come visit us in person to sell your sterling silver items. 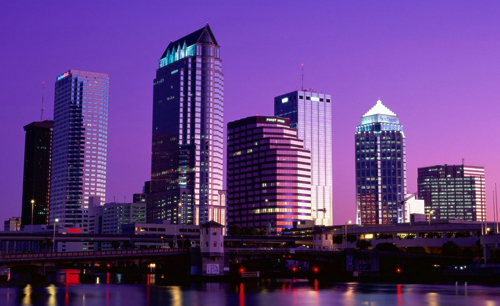 We serve customers regularly from Belleair, Belleair Bluffs, Indian Rocks Beach, Madeira Beach, Largo, Clearwater, Seminole, St. Petersburg, Tampa, Pasco, Pinellas, Hillsborough and even Sarasota and Brandenton. 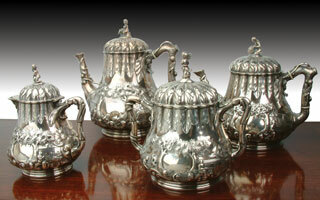 You can still submit an offer to us online prior to coming in if you wish. If you visit the store there is never any high pressure sales tactics to make you sell and we never charge for our estimates. 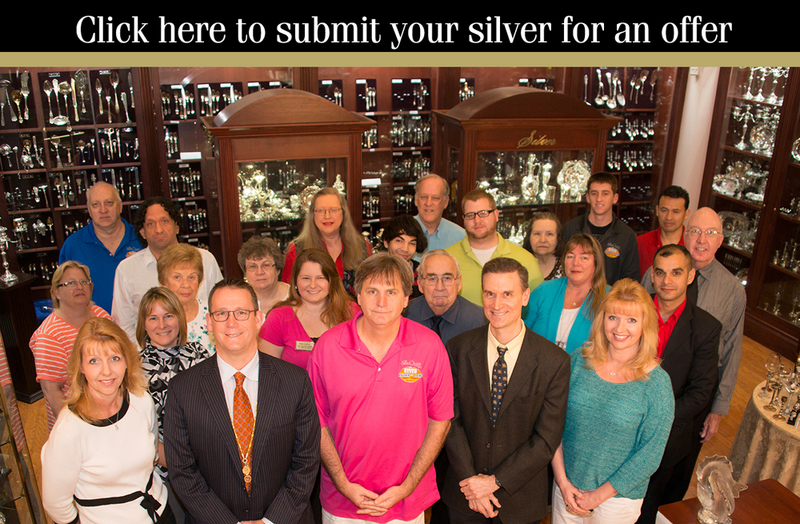 Click on the photo above to take a virtual tour of our store. 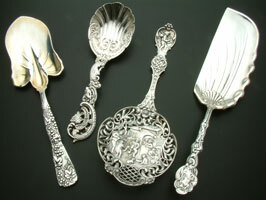 For just regular sterling flatware services of 1-125 pieces or ordinary pieces of sterling holloware please use our on-line submission forms to receive our offer. 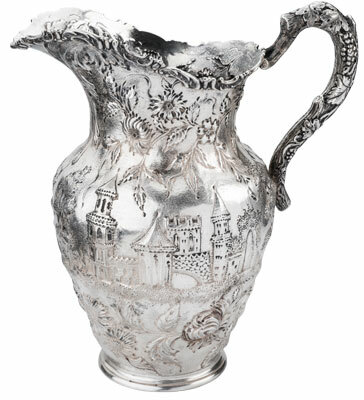 However, you have something that is very rare and extraordinary, or extremely old as in the 18th Century, or is considered to be of museum quality, then please email Greg the owner and head buyer directly at Greg@SilverQueen.com include photos if possible. 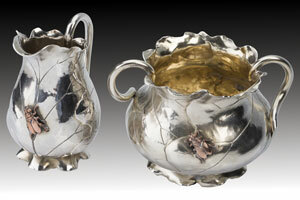 Greg is especially looking for Tiffany, Gorham Martele, Older Georgian Silver from the 18th Century, Francis 1 Sterling Holloware, Georg Jensen, Lebolt, Kalo, Buccellati, and highly ornately repoussed pieces of silver holloware.